I am very sorry that this has happened. Things like this will continue to happen until we demand the same protections for human rights in civil rights cases as we have in criminal cases -- innocent until proven guilty, high standard of evidence (beyond reasonable doubt), right to a jury trial, right to a speedy trial, right to face one's accuser. A relatively less expensive way to check genetics is to run a 23andMe test on the parents. Start with the parent who has the most history of people in his or her family who had broken bones. While 23andMe is not technically a medical test, and has some very limited margin of error, it is actually a genetic test that provides comprehensive genetic information about the subject. If the 23andMe test shows the genes in the parent, then that indicates that it is worth the money to run the medical test checking for the gene on the parents and the child, to be medically certain of the results. 23andMe can also provide a great deal more valuable information about the child's health, which could be very helpful, if the child is tending towards an unexplained medical condition. Happening in Australia too - we have no ability to raise awareness of what is going on under our very noses here. One doctor in particular in a leading children's hospital in NSW has boasted recently that he is personally responsible for "catching" 11 MSBP mothers in 12 months and the judges don't think that is strange. Question?? Do these Doctors work hand in hand with CPS?? The police do also, CPS owns family court, It's judges, and lawyers, all paid by CPS?? Does anyone see what I see???? CPS medically kidnap children to stream line there kidnapping of our children for money!!!! All sides of the story should be known before making judgement. I pray this baby is safe and answers are found. 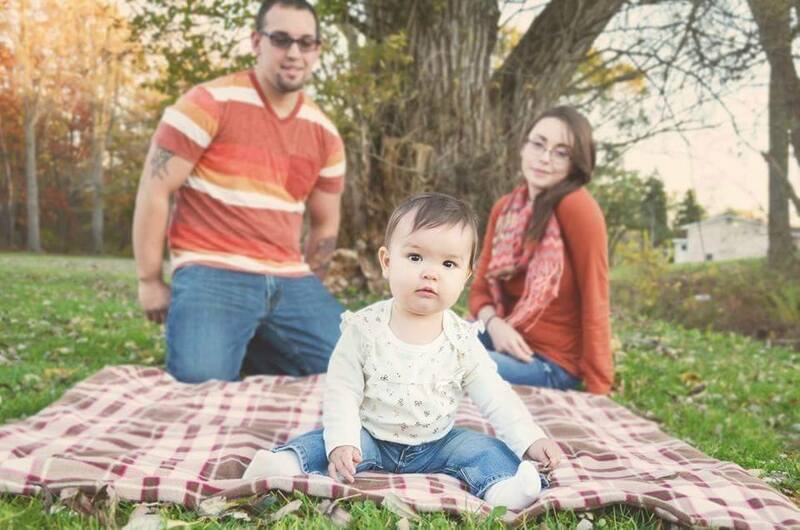 Admin said: > Michigan parents Josh Soto and Alexandria Burgess took their ten month old baby girl Selena to the pediatrician on September 1, 2015 because she was fussy, tugging on her ears, cutting teeth, had severe diaper rash, and seemed to have pain in her legs. > > The pediatrician didn’t seem concerned, and gave her Benedryl and a cortisone cream for her diaper rash. He suggested that they keep an eye on her but didn’t note any concerns. > > Ten days later, on September 11, 2015, Selena’s pain seemed to have increased so they took her to the E.R. of a local hospital, Promedica-Bixby in Adrian, MI. The attending nurse initially ordered a hip x-ray, but Alexandria and Josh requested that they x-ray her legs, too, to be thorough. > > When the doctor came back into the room she said she had two broken legs, and asked “How did this happen?” They were referred to the University of Michigan Mott Children’s Hospital in Ann Arbor, Michigan where a child abuse doctor determined that Selena had been abused, and had Child Protection services take custody of the child. > > The mother states: "We did everything we were supposed to as parents, and yet still found ourselves in this nightmare. This time, these moments with her.....we never get it back. Her first birthday, Thanksgiving, Christmas, her first time saying 'Momma', her first steps.....all away from home. All ruined by this nightmare we've been thrown into." This is very disturbing . I am so shocked! I pray the proper tests are being done for this family. God Bless. Admin said: > Michigan parents Josh Soto and Alexandria Burgess took their ten month old baby girl Selena to the pediatrician on September 1, 2015 because she was fussy, tugging on her ears, cutting teeth, had severe diaper rash, and seemed to have pain in her legs. > > The pediatrician didn’t seem concerned, and gave her Benedryl and a cortisone cream for her diaper rash. He suggested that they keep an eye on her but didn’t note any concerns. > > Ten days later, on September 11, 2015, Selena’s pain seemed to have increased so they took her to the E.R. of a local hospital, Promedica-Bixby in Adrian, MI. The attending nurse initially ordered a hip x-ray, but Alexandria and Josh requested that they x-ray her legs, too, to be thorough. > > When the doctor came back into the room she said she had two broken legs, and asked “How did this happen?” They were referred to the University of Michigan Mott Children’s Hospital in Ann Arbor, Michigan where a child abuse doctor determined that Selena had been abused, and had Child Protection services take custody of the child. > > The mother states: "We did everything we were supposed to as parents, and yet still found ourselves in this nightmare. This time, these moments with her.....we never get it back. Her first birthday, Thanksgiving, Christmas, her first time saying 'Momma', her first steps.....all away from home. All ruined by this nightmare we've been thrown into." The parents might want to check her Vit.D levels and if they have done vaccines recently or on schedule. The nagalase protein in these vaccines blocks vit.D and causes bones to break, brain swelling and other conditions like cancer since the blocking of Vit.D of our natural immune systems. A lot of parents having their kids removed with allegations of child abuse when only thing they did was get the vaccines. And of course, they will not admit it, but maybe these parents can get this tested. It's sad hospitals jump to conclusions about parents without doing tests, and never admitting it could have been vaccines. When having a genetic disorder leads to losing your children - it's a form of eugenics.